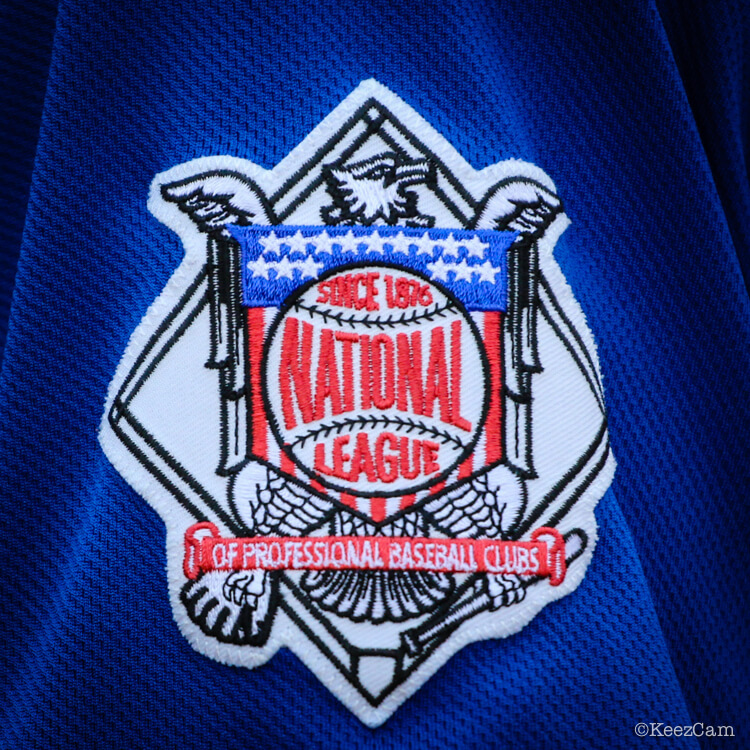 In honor of the 89th MLB All-Star Game, lets take a look at the gear that’s making the difference for baseball’s best. 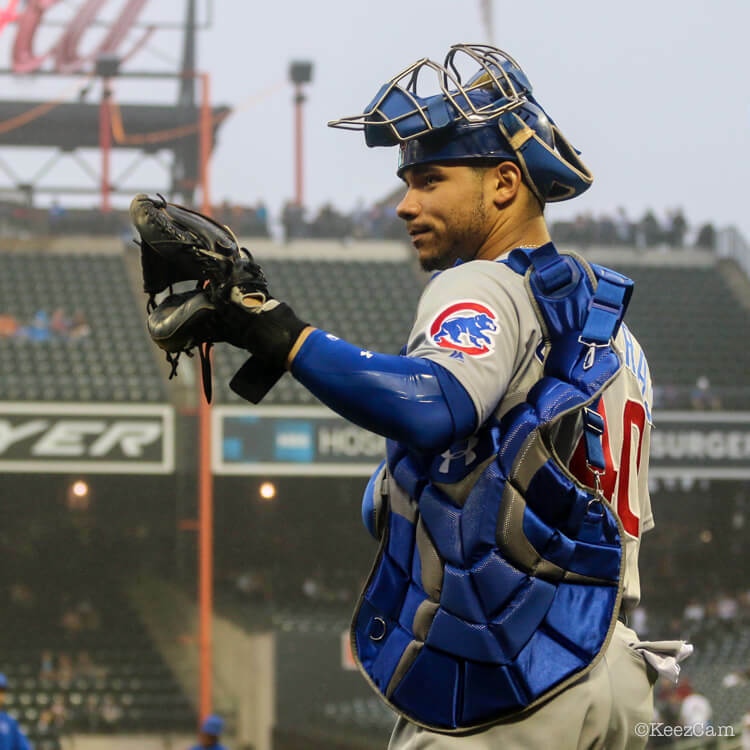 Here we’ll run down the National League starting lineup, starting with catcher Willson Contreras. 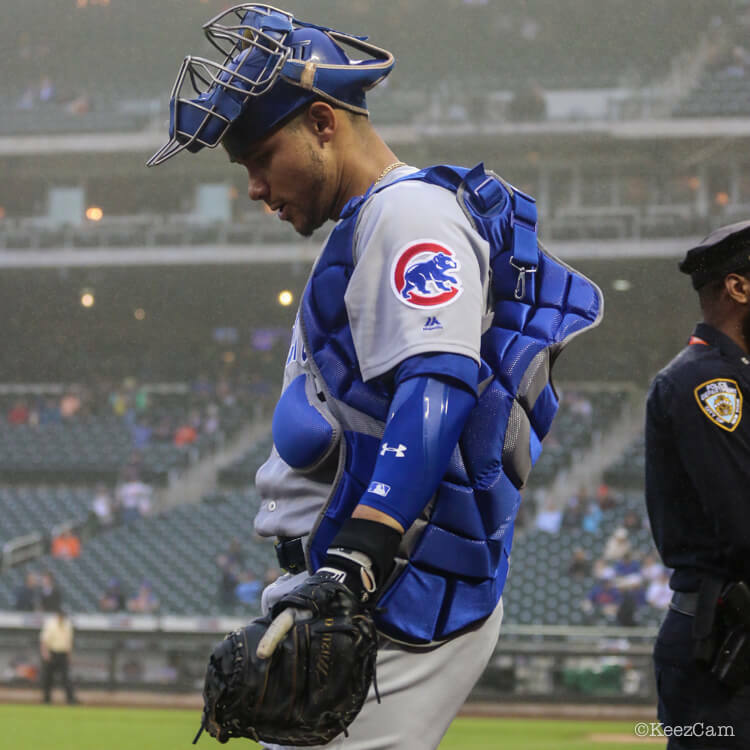 Willson Contreras, Under Armour athlete and NL starting catcher, is only in his second full season in the MLB, yet he’s got veteran presence. 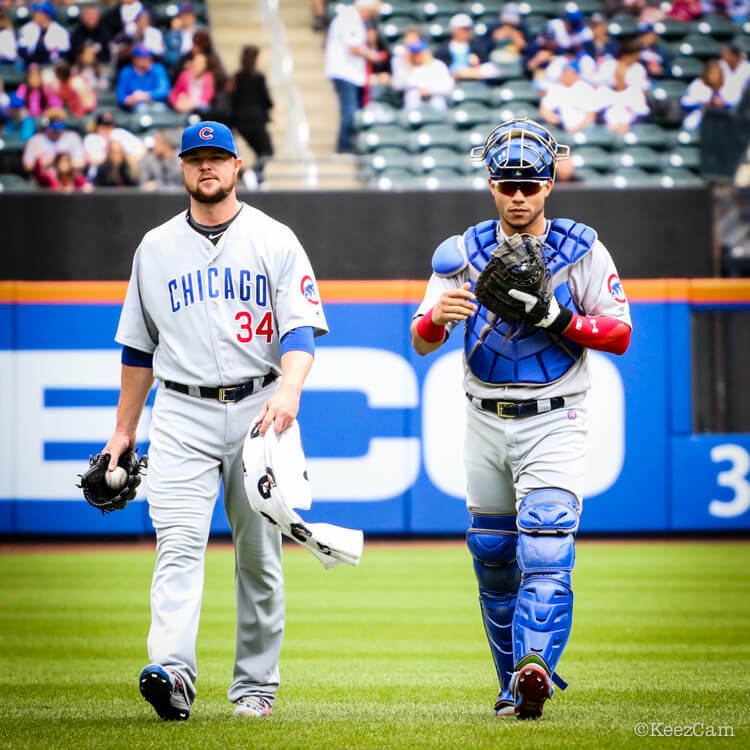 As the starting catcher on the Cubs’ first World Series team in 108 years, he’s earned the respect of even his most accomplished teammates. 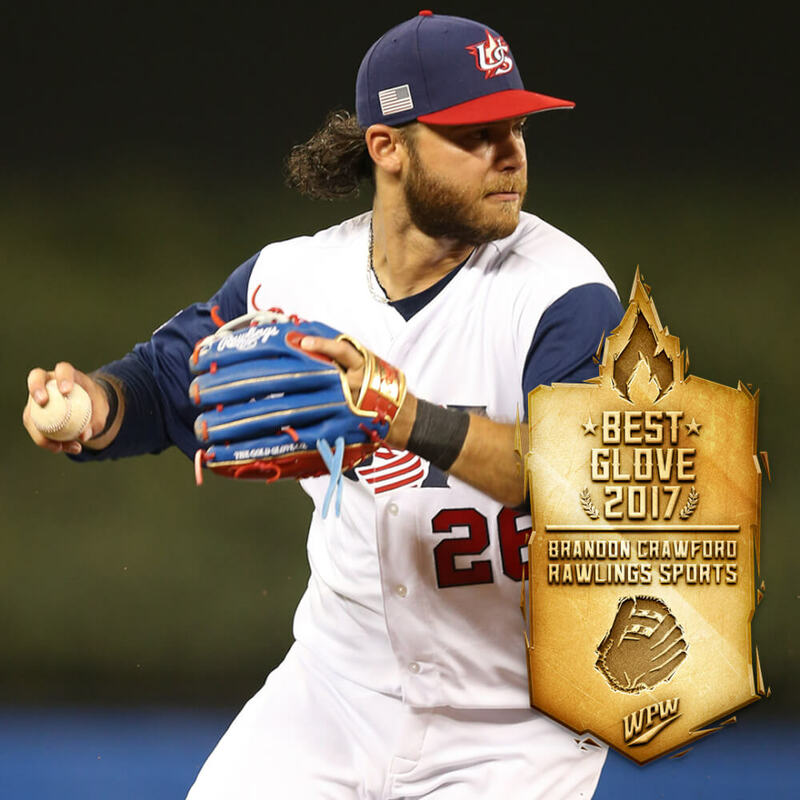 He wears a Mizuno GMP200 glove, which may have been influenced by Cubs cult hero and fellow World Series winning catcher David Ross. 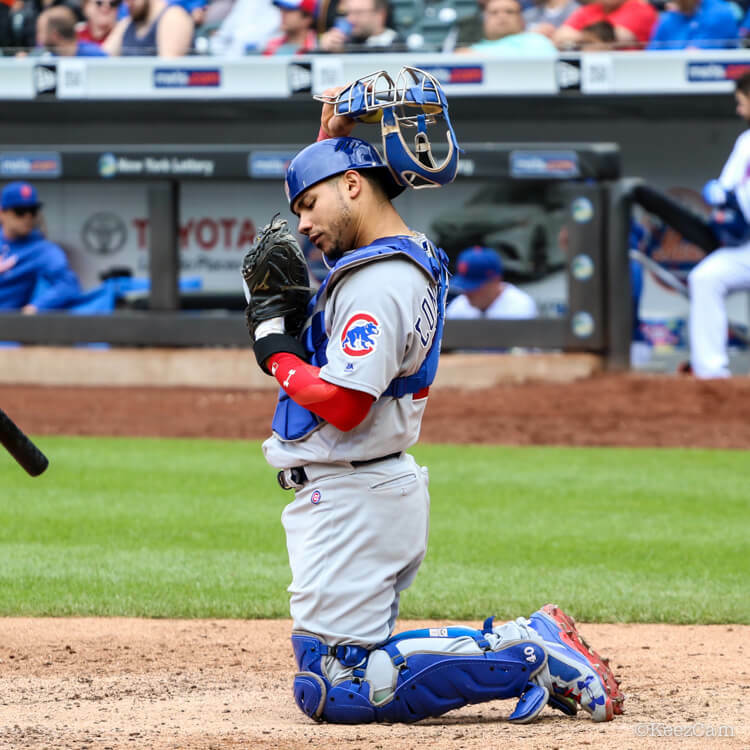 Contreras has also worn Wilson A2000 catcher’s mitts in the past, but Mizuno seems to have won his heart. Get the GMP200 here. 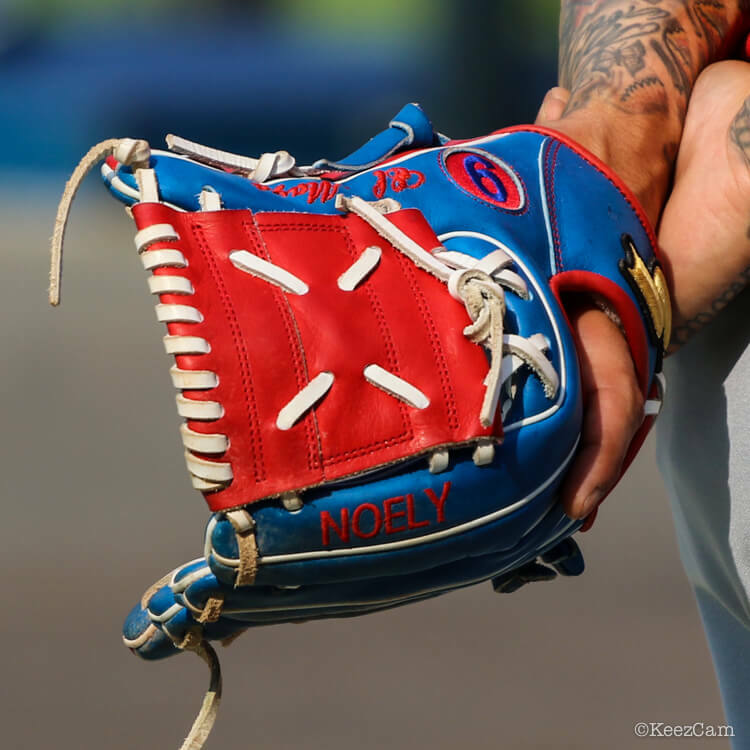 He also wears what looks like a neoprene lace-on wrist guard, which laces into the heel of the glove. We’ve never seen this one before, and we don’t know who made it, but the All-Star Lace-On Wrist Guard is well worth your consideration if you’re looking for something like this. 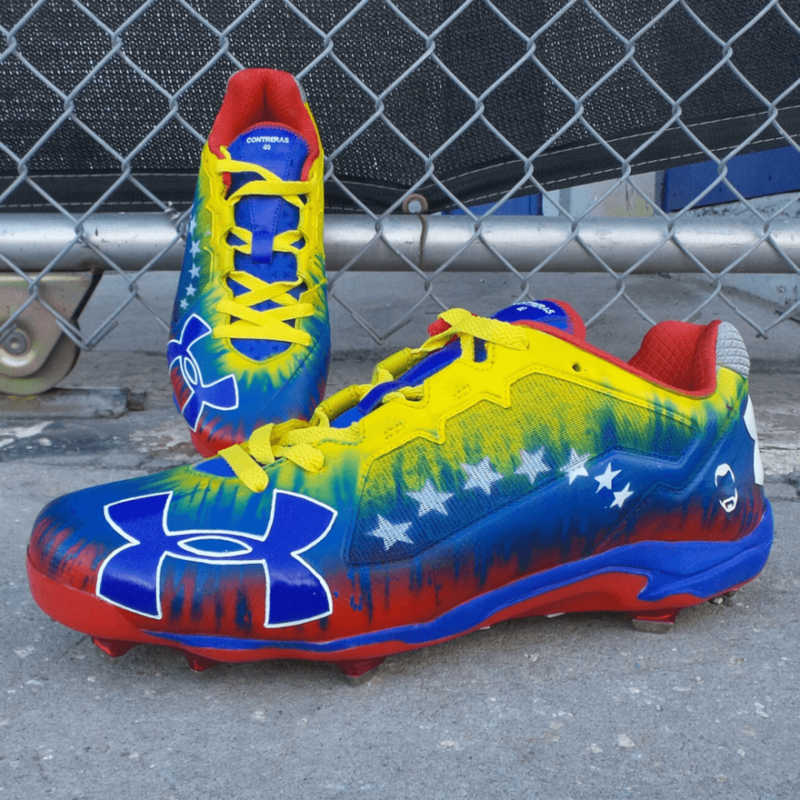 Contreras favors Under Armour Deception cleats, which he had customized by Soles by Sir for the 2017 playoffs (above). Get them while they’re still in stock here. 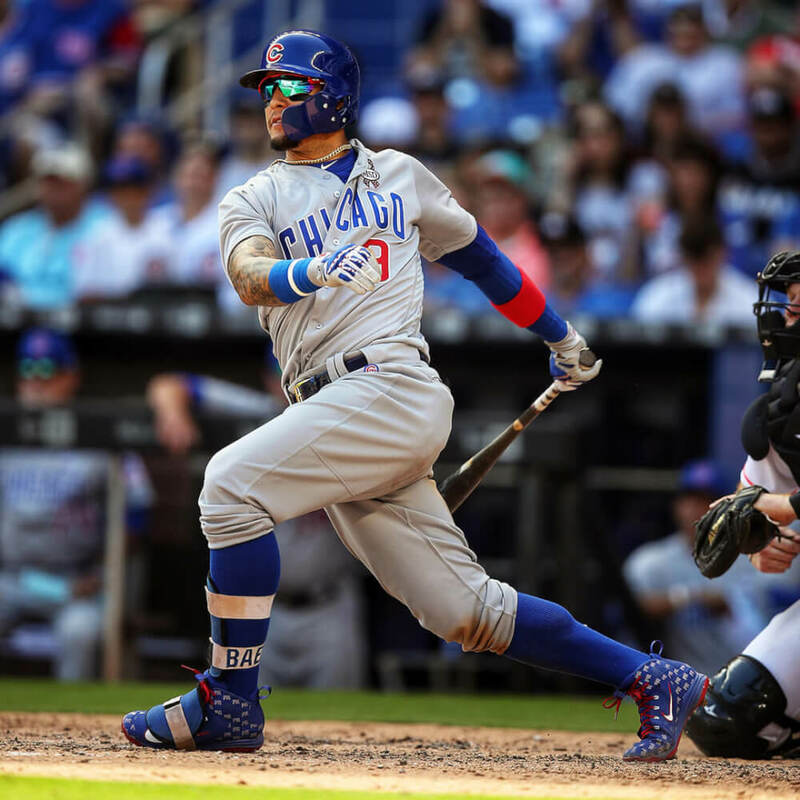 Contreras’ arm sleeve couldn’t be found on the web, however, a close alternative can be had here. Steady Freddie Freeman has long been one of the National League’s best, one of the few true .300 hitters in a sea of all-or-nothing hackers. 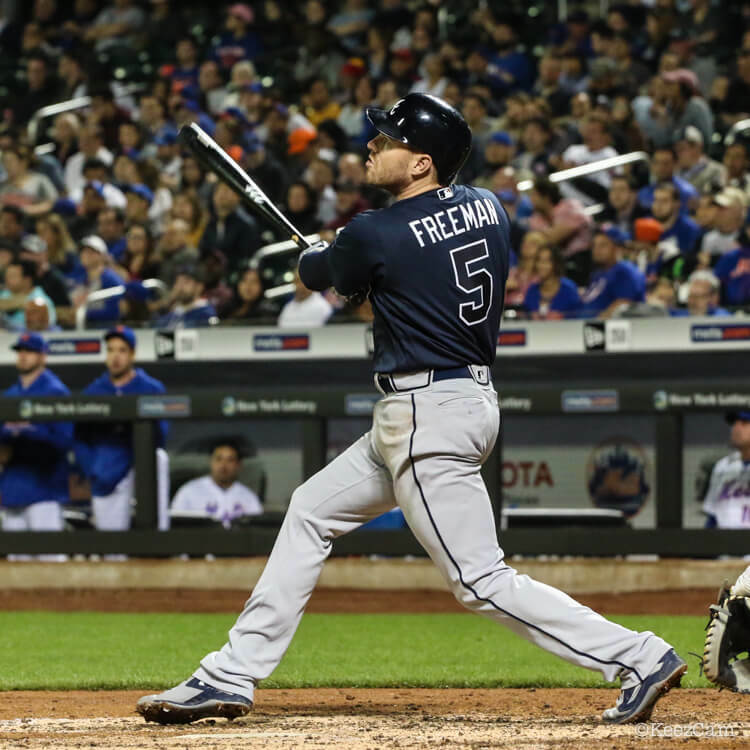 Freeman is not a high-maintenance type, rocking simple (and sharp) UA Yard cleats and swinging the same Marucci CB15 that he’s been swinging since WPW first profiled him in 2015. 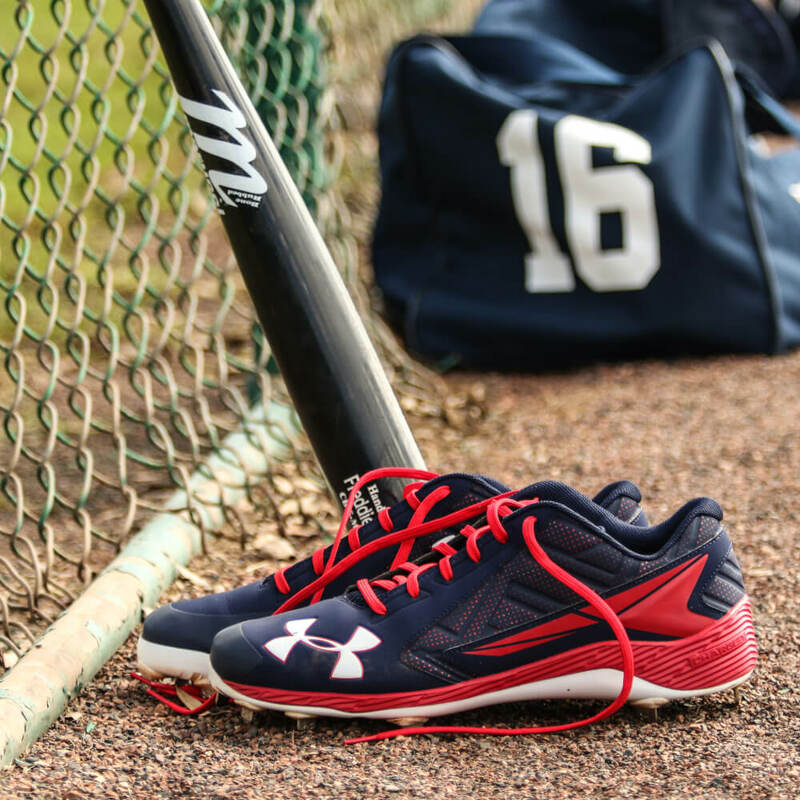 Get the CB15 here, and the Yard cleats on eBay here. View Freeman’s entire locker here. 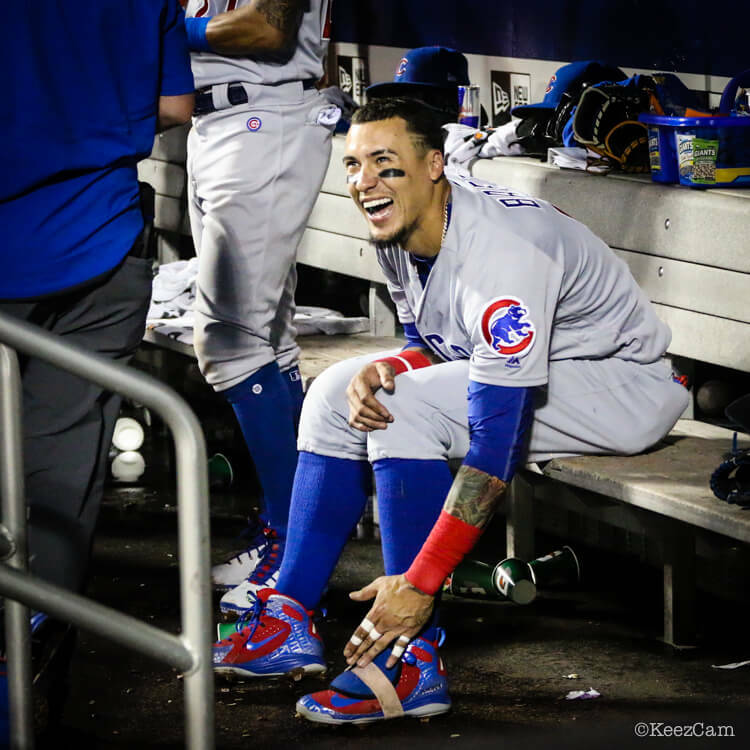 Even though 2018 will be his first All-Star Game, Javy Baez has been a WPW star since he hit a game-deciding solo shot off Cueto in the 2016 NLDS while wearing Jordan 1s. 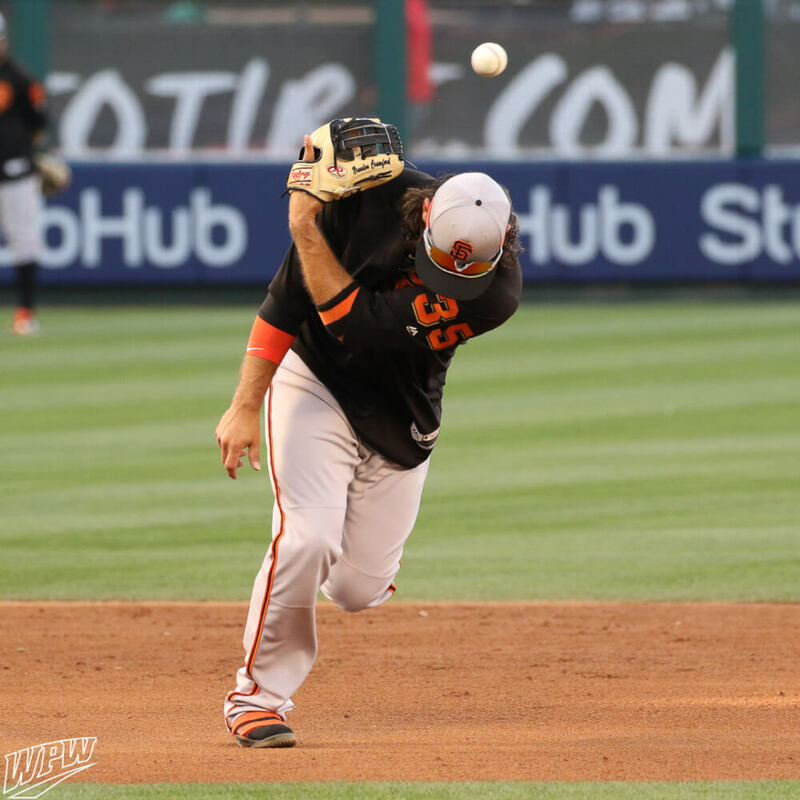 …then this camel-colored closed web later on. 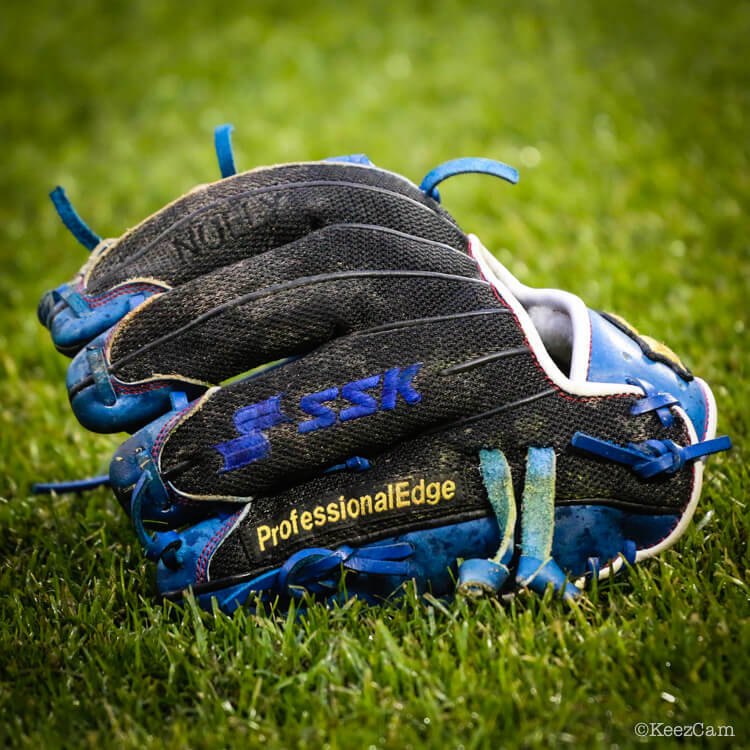 SSK doesn’t offer the exact gloves in Baez’ rotation, but here’s their Baez page which has a few similar options. 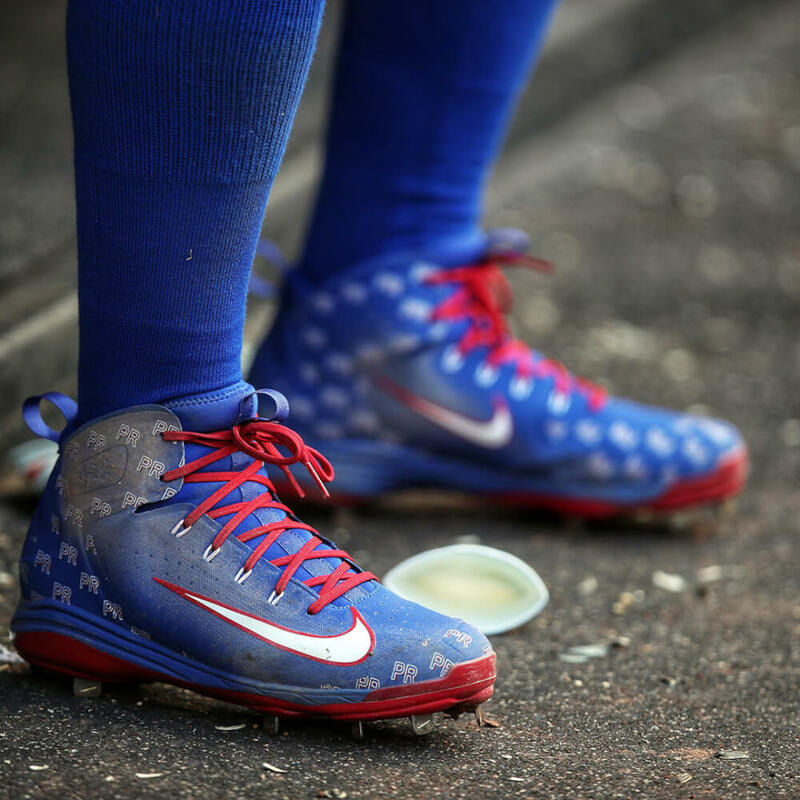 Baez continues to lead the MLB in on-foot swag. These Alpha Huarache Elite Mid SMUs are some of our favorites of the season. 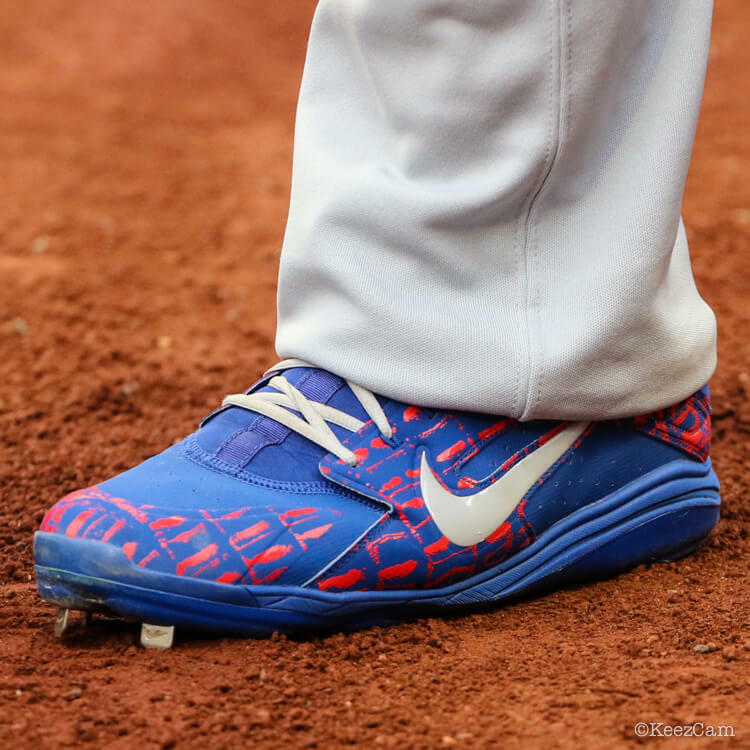 Though the Puerto Rico SMUs are exclusive to Javy, the pair he wore at Citi Field is available here. 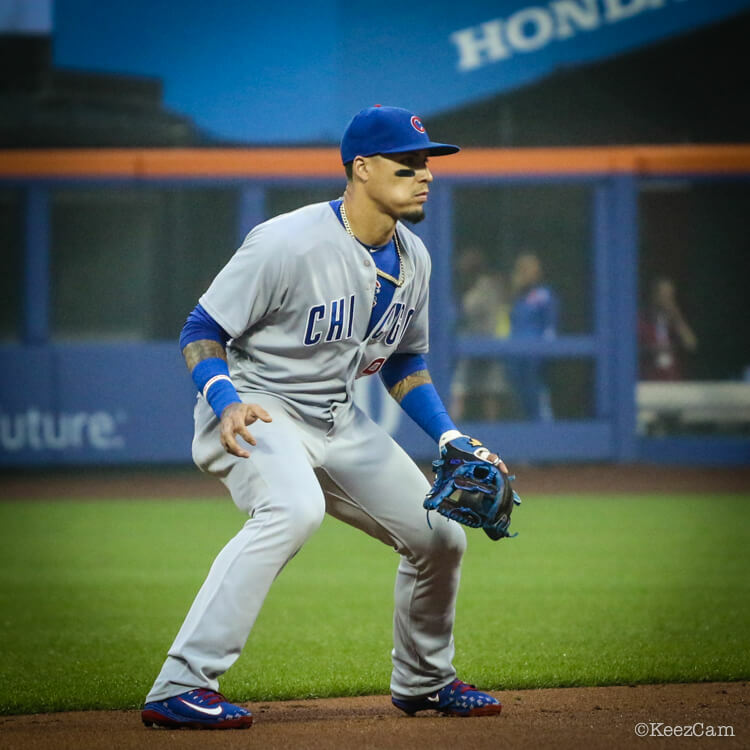 The defense and athleticism has been there all along, but Javy is putting it all together offensively, too. 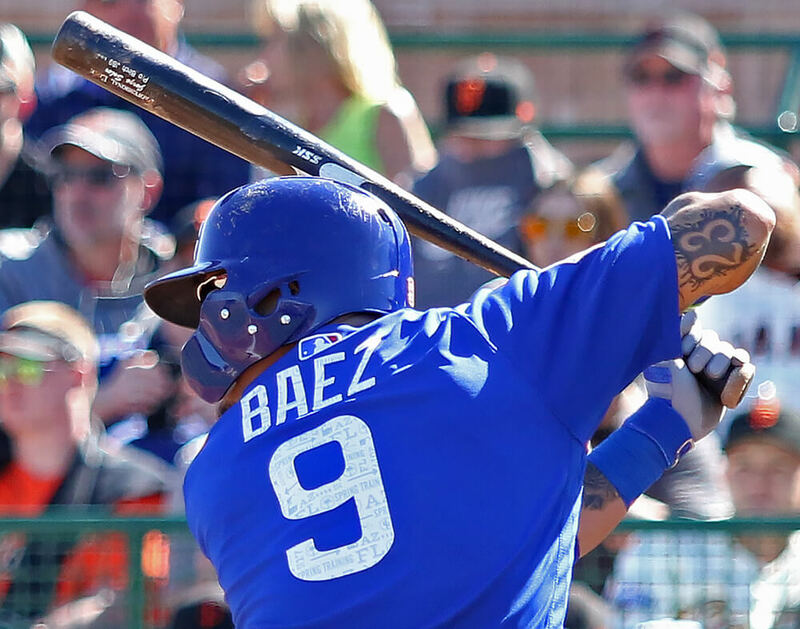 Baez’ SSK JB9 is available in Birch wood, which performs like a hybrid between Ash and Maple, here. 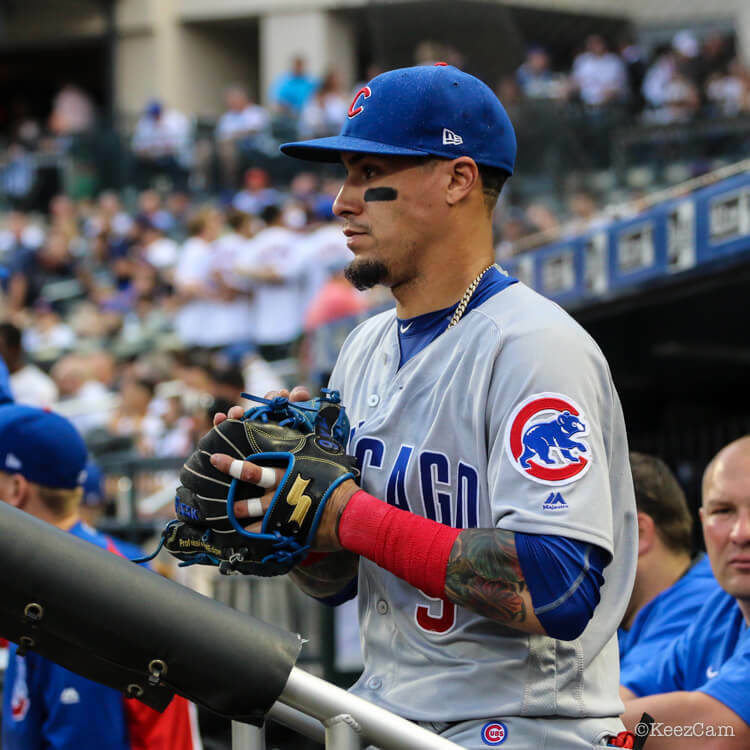 View Javy’s entire WPW locker here. 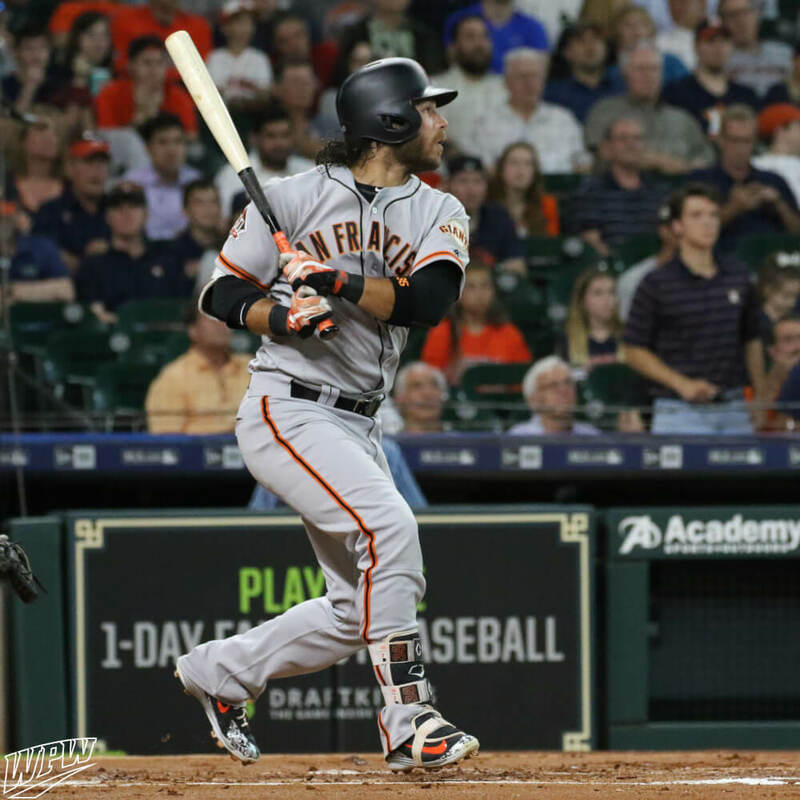 Brandon Crawford is another WPW hero, a master of the “Look Good, Play Good” mentality and a guy who just makes baseball fun to watch. Crawford routinely squeezes every drop of swag out of NIKEiD, including these pregame Lebron Soldier 11s. Eastbay has an absolutely outrageous selection of this shoe. 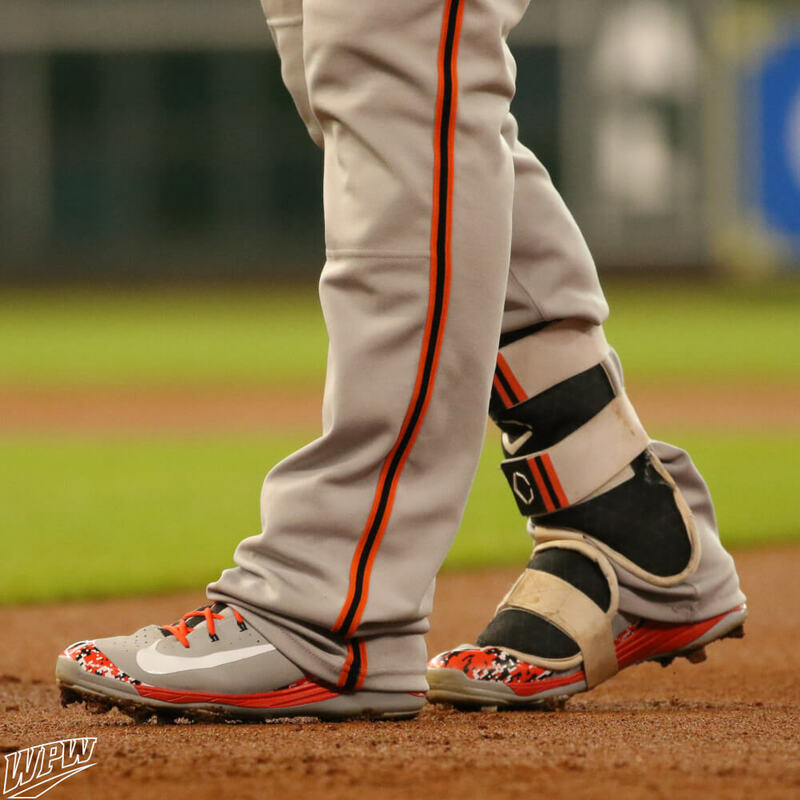 As for game cleats, Crawford’s NIKEiD Alpha Huarache Elite come in many different flavors. Our favorites, above, can be had here. 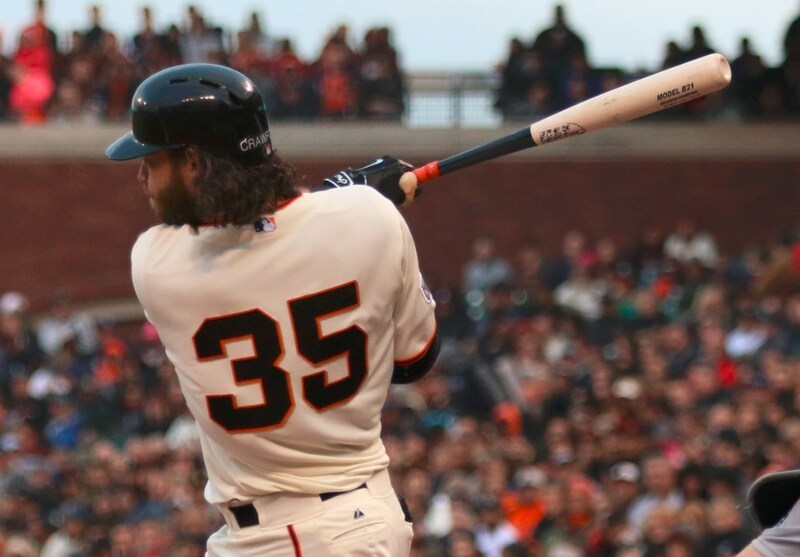 …but its his PRO200-6K model that he’s trusted at SS for the Giants since WPW began keeping track. You can get Crawford’s exact spec glove here. Just don’t expect the gold labels unless you earn them. 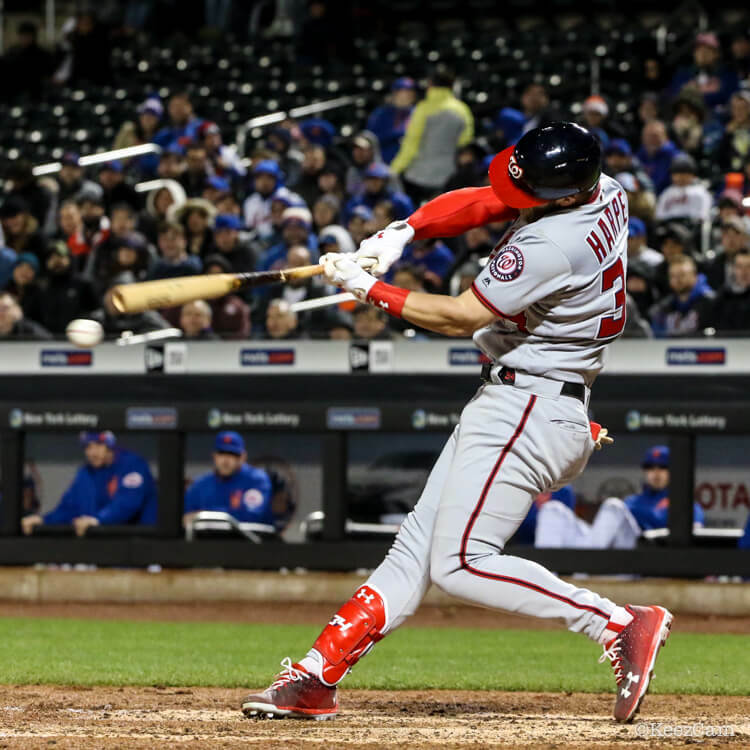 We saw Crawford swinging an Old Hickory 28NA (Arenado model) in BP in Houston recently, however, we have no record of him straying from his long-term relationship with the MaxBat B21 Maple in games. The B21 boasts a big, long barrel with a quick taper to a thin handle that is said to have the balanced feel of a metal bat. Get it here in any of the standard wood types. View Crawford’s entire locker here. Baez, Crawford, and Nolan Arenado on the same team?! As far as WPW is concerned, that’s all you need. 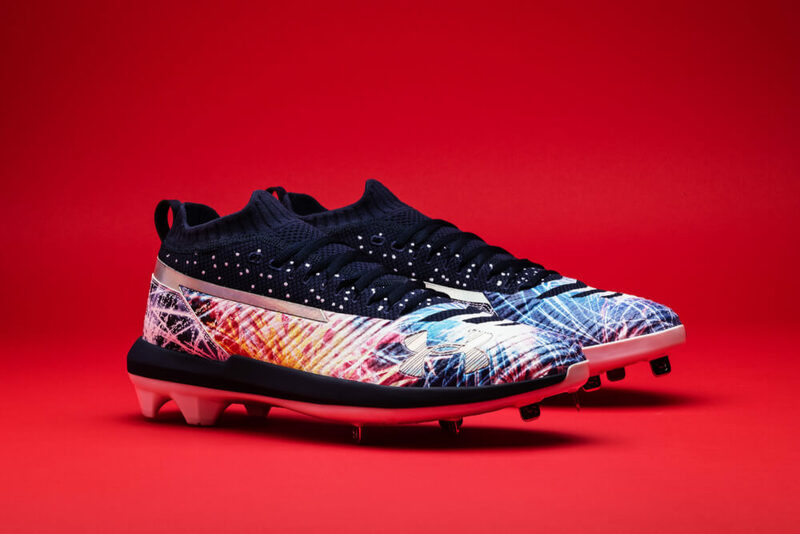 Our first ever “Best of WPW” winner in the cleats category, Arenado’s 2017 Vapor Ultrafly set a new bar for baseball cleats. 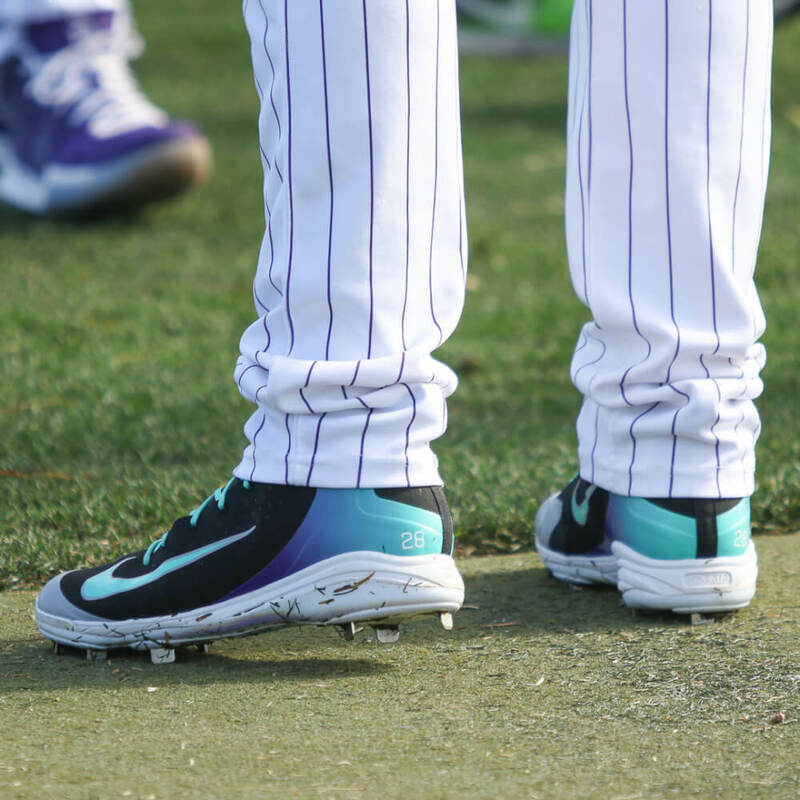 The Alpha Huarache cleat that Arenado is wearing is not something you can buy, but we made a “midnight” version that we think Arenado would be down with. 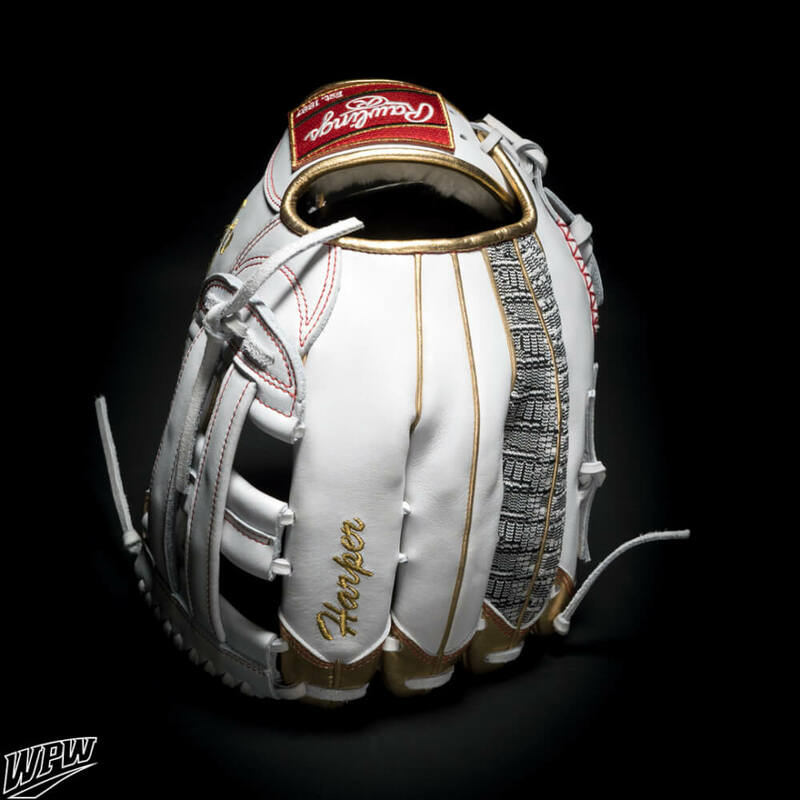 Arenado’s Rawlings PRO12-6TI glove is so well-covered on WPW that we remember the model number by heart. 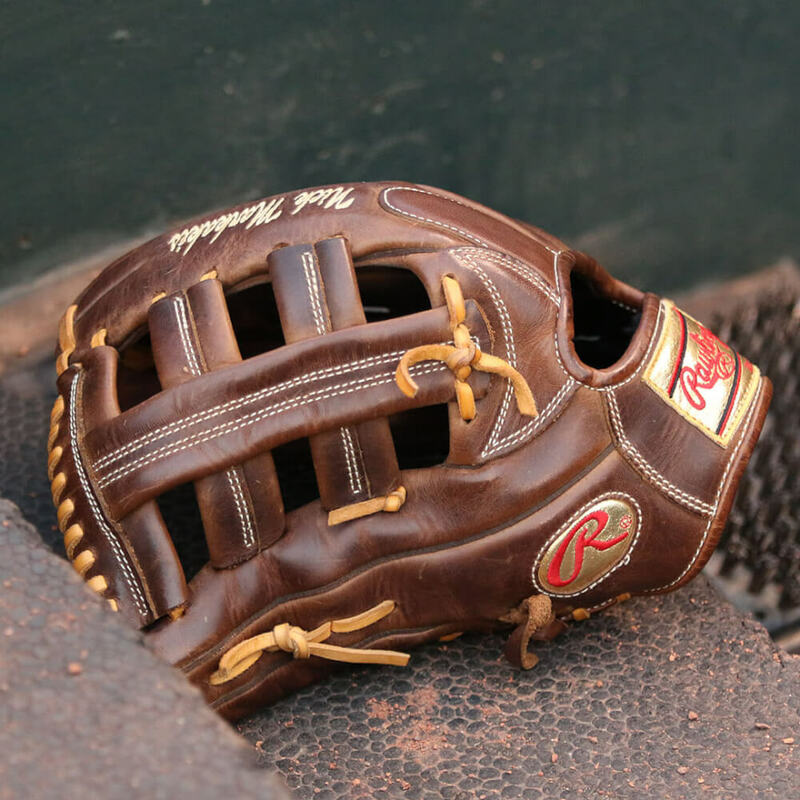 A Platinum Glove winner, Nolan Arenado has the platinum labels on a glove he’s still working in, but the 2018 gamer’s got goldies. 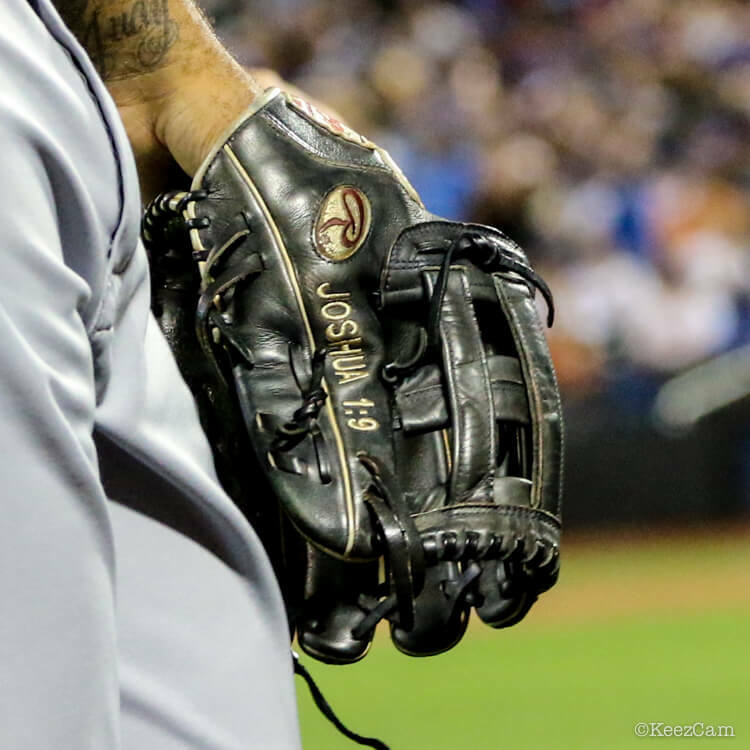 Neither platinum nor gold is available to the amateur player, but you can get Arenado’s spec glove here. Arenado’s choice lumber is the Old Hickory 28NA named for the man himself. The hybrid model combines the 141 barrel and 271 flared handle. 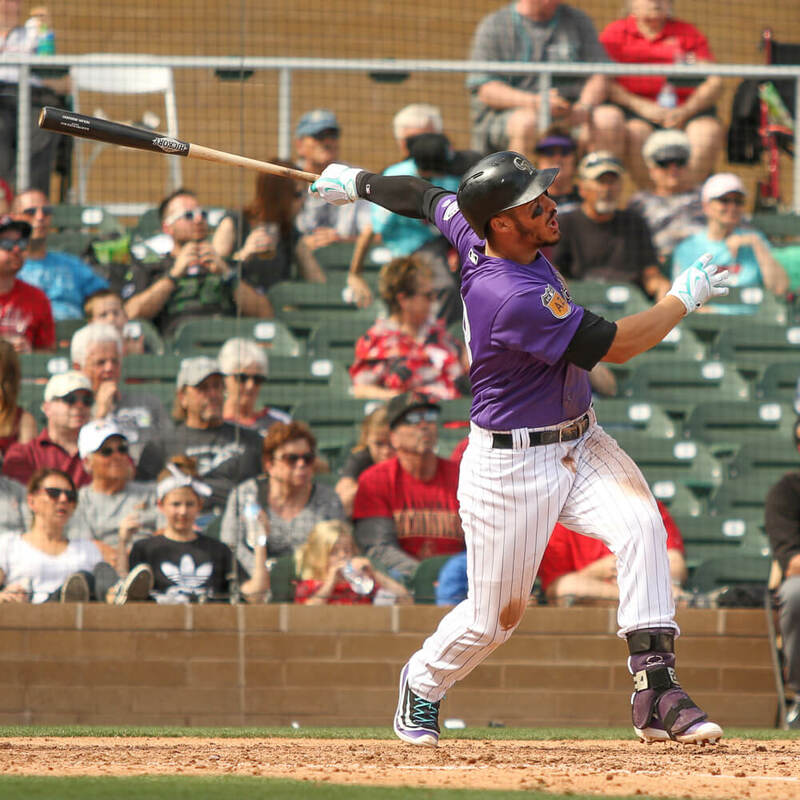 Arenado swings a 34 inch, 31.5 ounce. Get it as a stock or custom model here. See Arenado’s entire locker here. 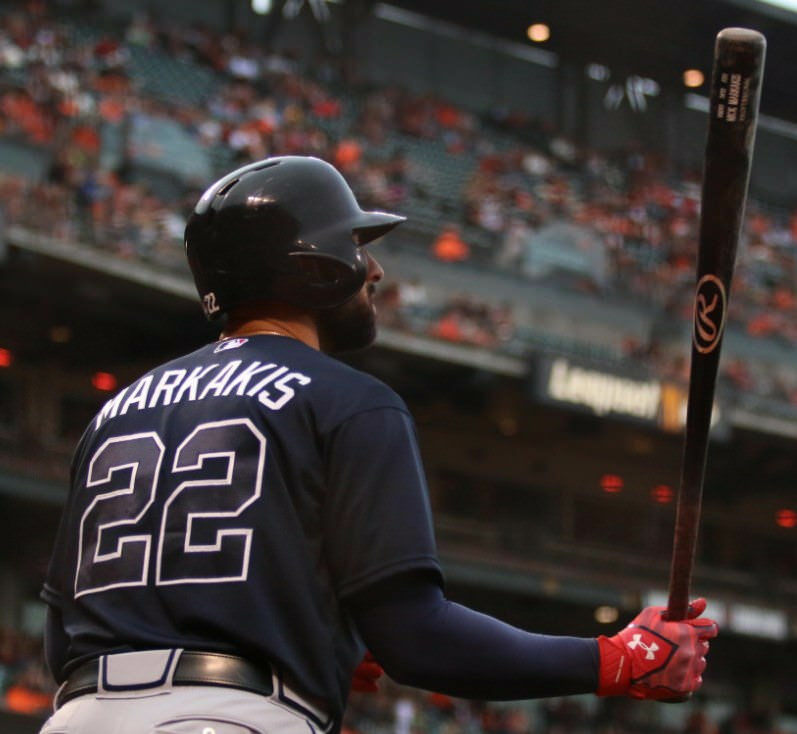 A well-deserved nod for a forever-underrated player, Nick Markakis, who is closing in on 500 doubles (currently top 100 all-time MLB) and 1000 RBI to go along with 2x Gold Glove defense. 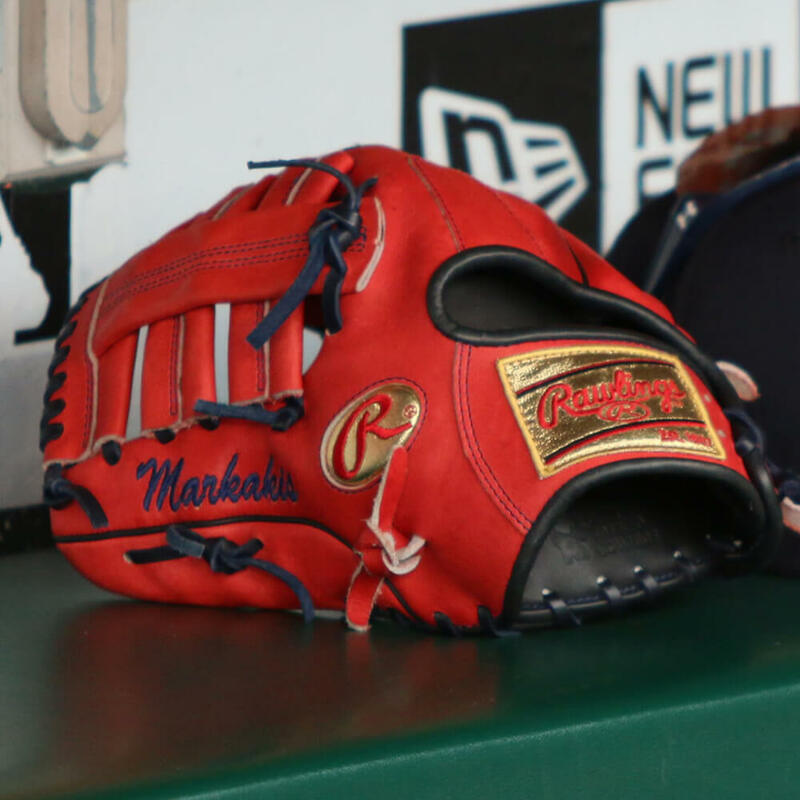 We photographed Markakis’ single post Rawlings PRO435 glove in 2015, and we believe he is still wearing the same one, just relaced in red. 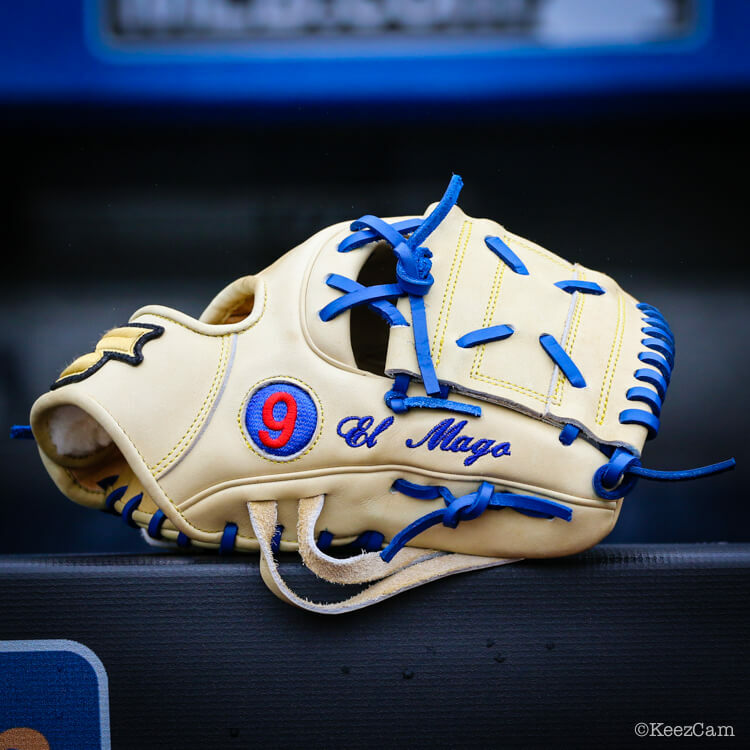 For an outfielder, there’s nothing better than a floppy glove that stays closed at high speeds and collisions, so you’ll see more outfielders wearing gloves for multiple seasons than infielders. Coco Crisp, for example, wore his Rawlings for at least eight seasons. 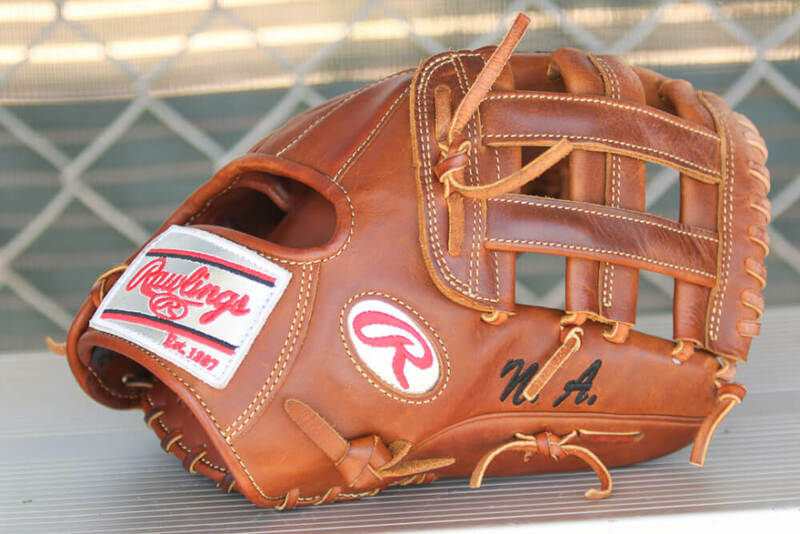 One of the prettiest shaggers we’ve seen, this beauty is the same pattern as Markakis’ gamer. 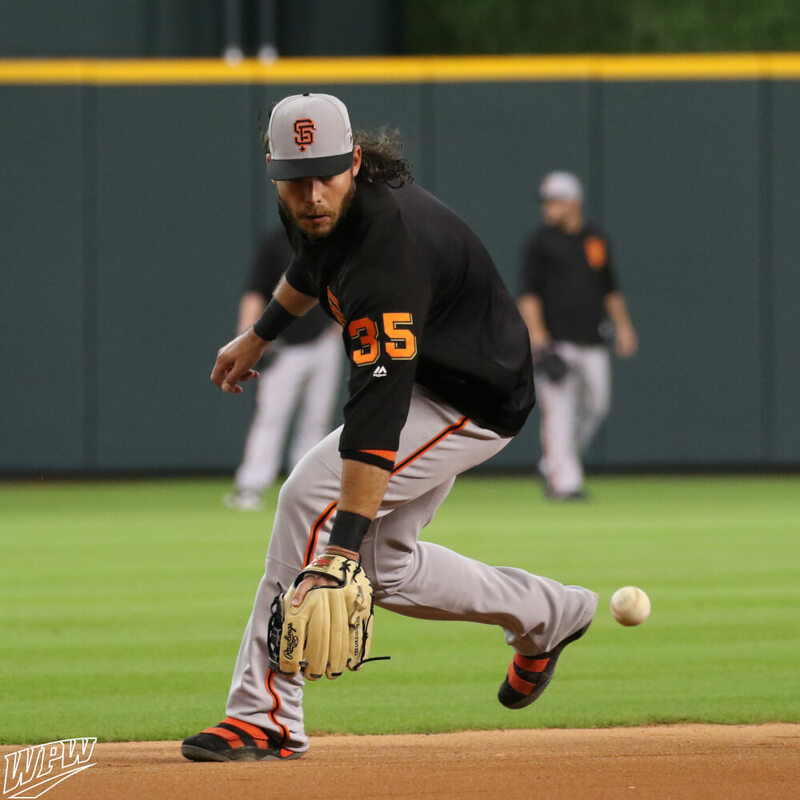 Markakis, last we checked, is the only MLB regular with this outfield pattern, the PRO435. Rawlings wood, too. Markakis has his own model with Rawlings, the NM22, a 34 inch, 32 ounce piece of ash. This is a wood type also favored by Markakis’ former teammate and All-Star starter Matt Kemp. Rawlings is unloading Pro grade blem ash for $60, though the model you get is random. Other Rawlings ash 33-34s at this link. 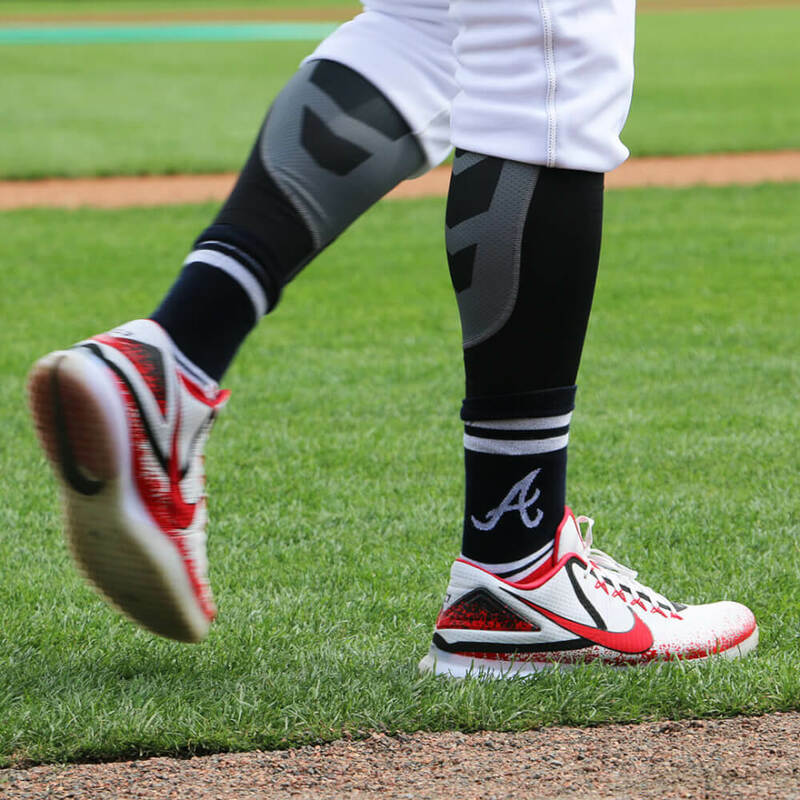 Markakis wears Under Armour Yard cleats, of which we hope to see more retail colorways (though we won’t hold our breath). In bad Under Armour news, this article on Uni-Watch tells that, due to financial issues, Under Armour has lost the MLB uniform deal (and Nike has stepped in to take it). 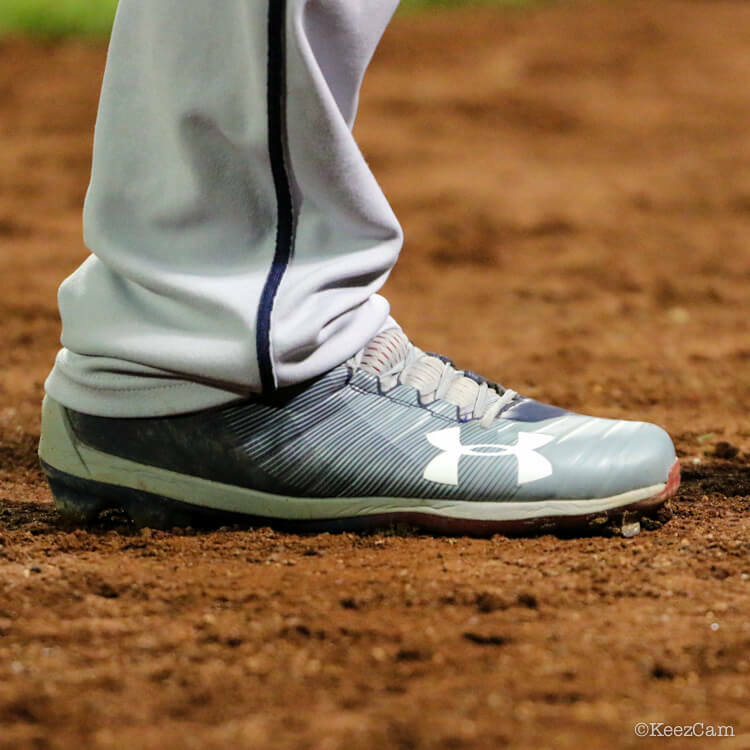 We’ve seen less and less baseball products from Under Armour aside from the impressive Harper line of cleats, so we’re hoping for the sake of baseball swag that UA can weather that storm. 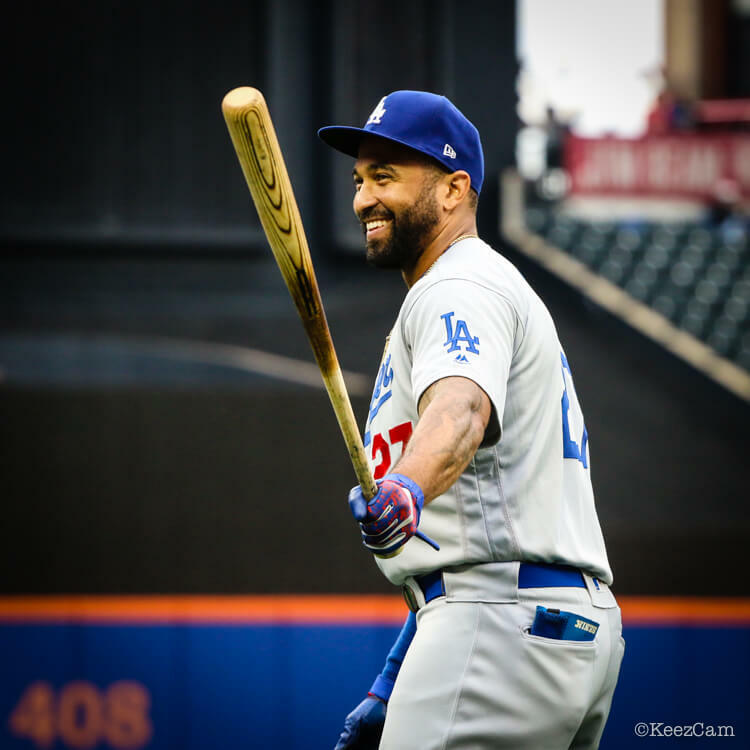 Like Markakis, Matt Kemp is an underrated, Ash-swinging Gold Glove outfielder closing in on MLB milestones. 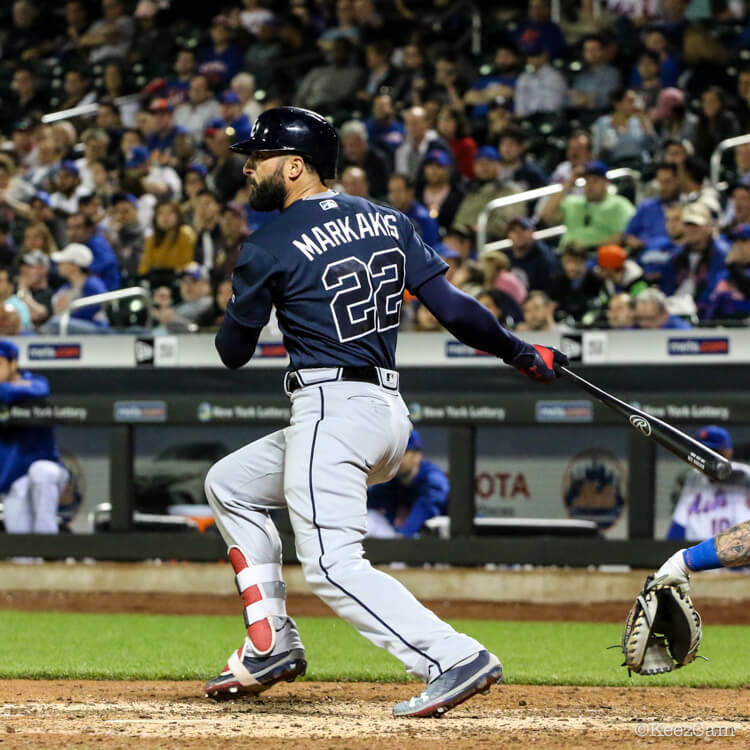 Kemp, however, unlike Markakis, left long-time lumber supplier Rawlings in favor of Warstic. Warstic, an aesthetically inclined young bat-maker co-owned by music legend Jack White, also supplies Ian Kinsler and Justin Upton. Kemp’s MK27 is available as a Pro order (minimum 12 bats) on the Warstic site. 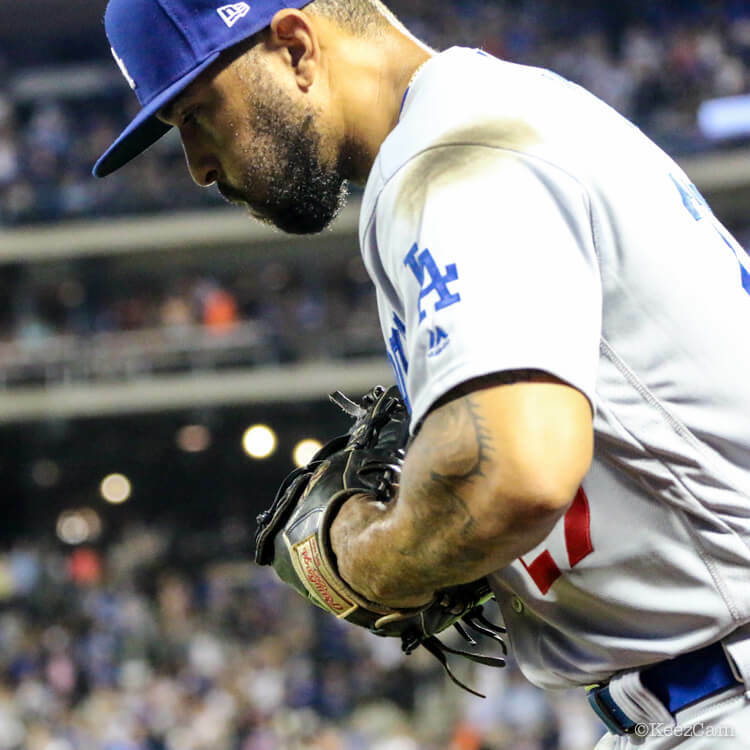 Kemp in 2013 in his first stint with the Dodgers wearing a Nike SHA DO, 27 of which were sold by Nike that year. And here with the Padres, a Nike MVP Select, which was a leather/synthetic hybrid made in 2015. 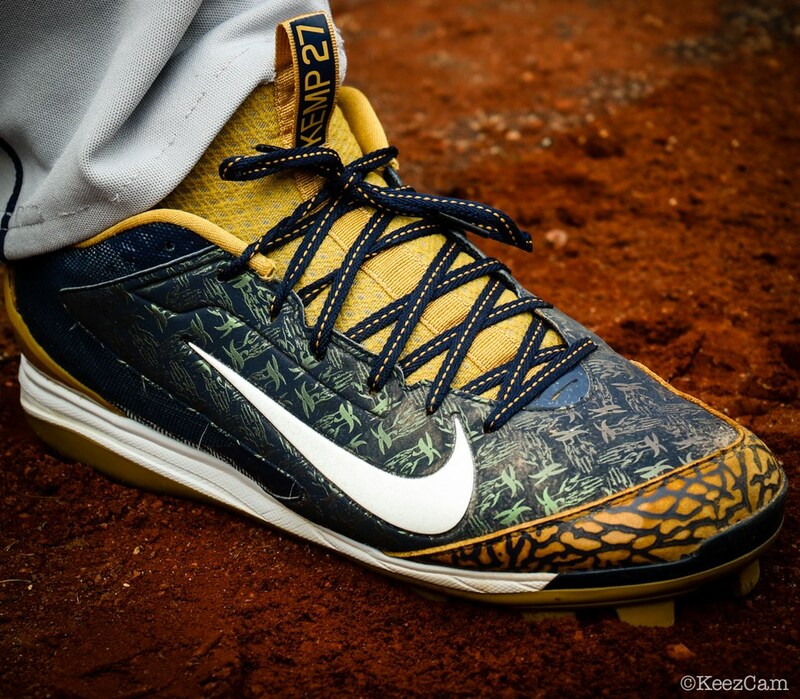 Huarache Pros with the Padres. 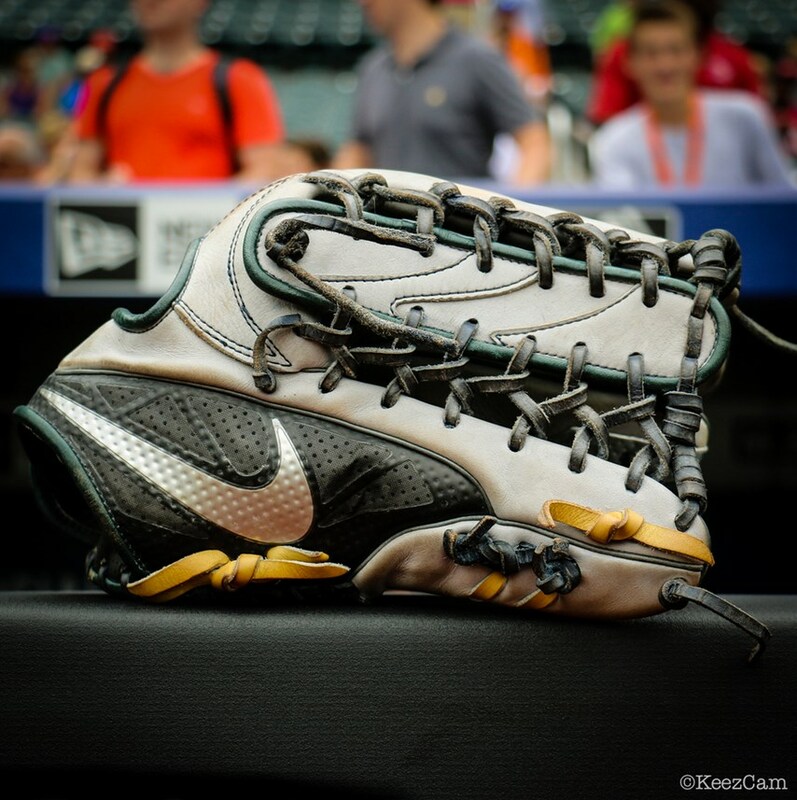 Kemp also had some of the best Trout 3s anywhere. Kemp’s 4th of July Ultrafly customs were an honorable mention in our Best of WPW 2017 awards. One of our personal favorites ever by Kickasso. 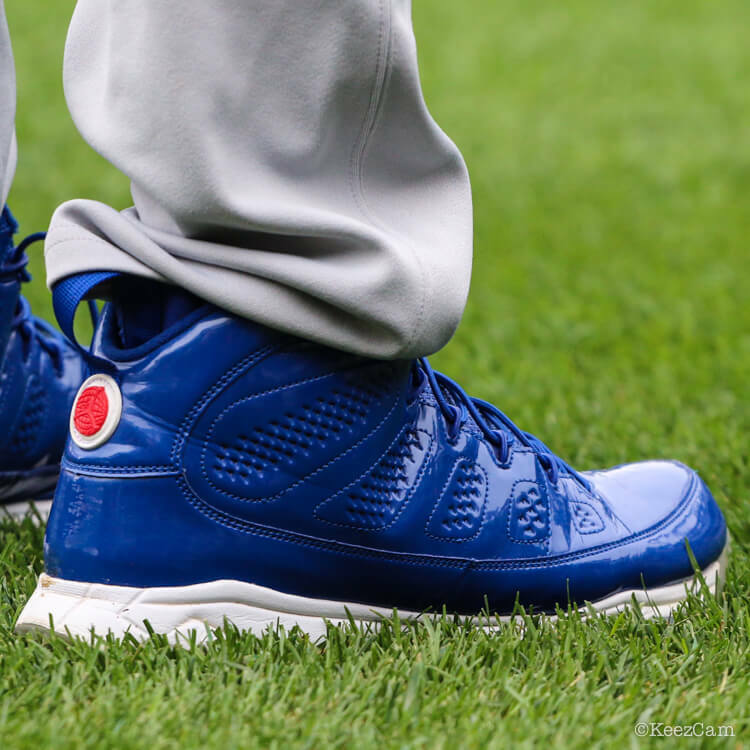 Kemp’s 2018 pregame choice are the Jordan 9 turf in Dodger blue. This is better than the cleat, and its available as a cleat (not in this colorway) on eBay. Anyone who follows WPW knows how well we cover Bryce’s every move. 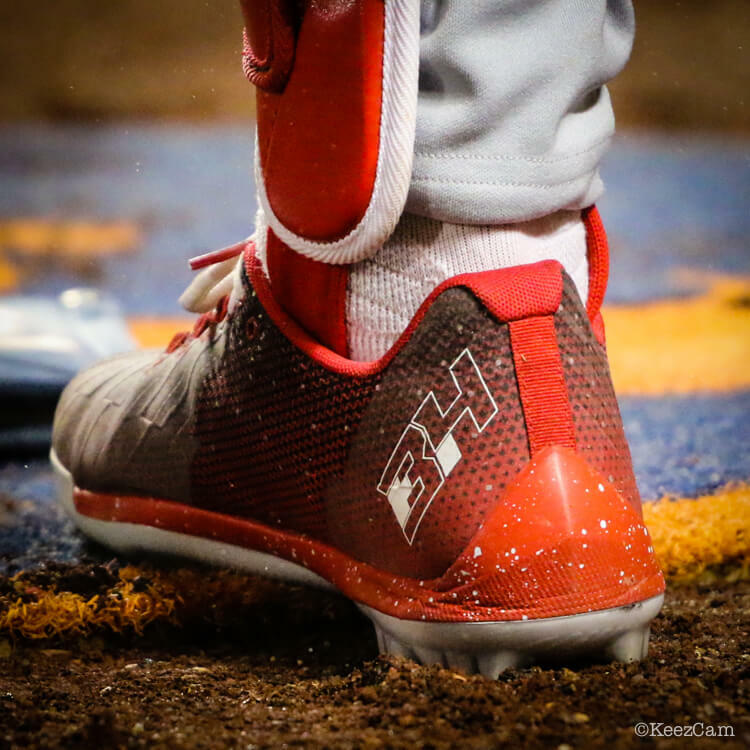 He’s one of just two MLB players (Trout) with their own signature shoe, and Under Armour is 3 for 3 so far with the Harper line. Check his locker for the latest. 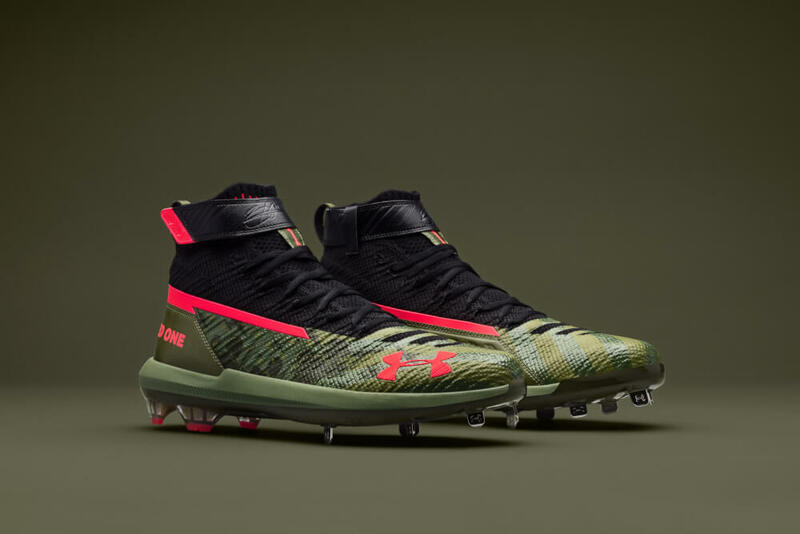 …and has since graduated to the Harper 3, a cleat that will launch in the fall. 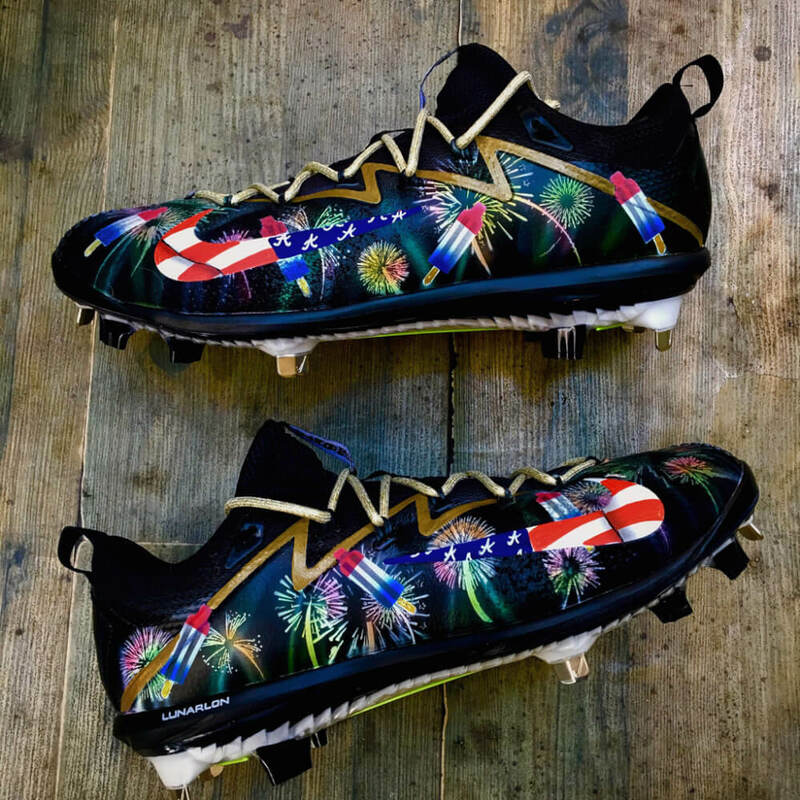 Above are the 4th of July versions of the Harper 3. The Memorial Day versions also looked badass. 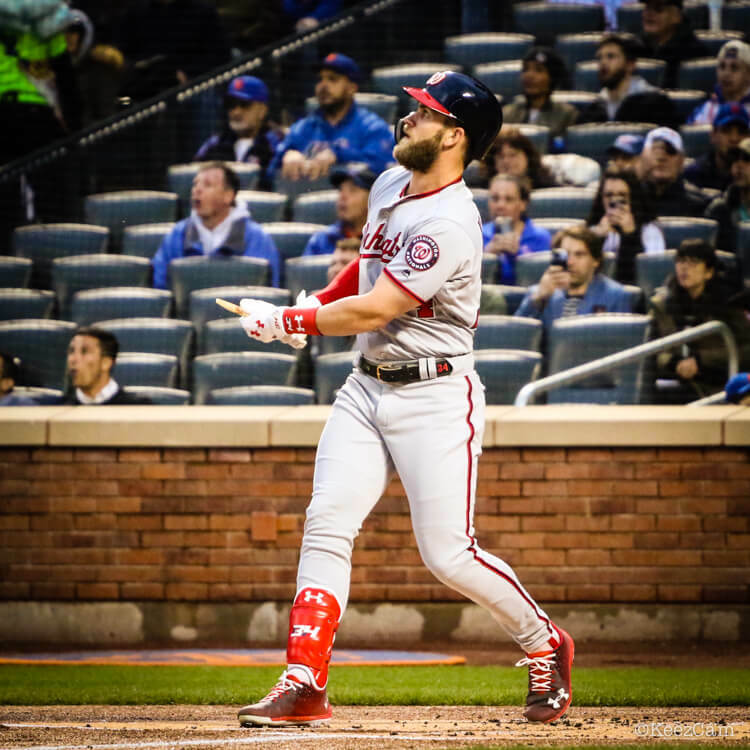 As for his bat, here is an article we did about his 4 favorite cuts on his way to 100 home runs. He also hits bombs with broken bats, but normal humans are encouraged to swing fully intact bats. 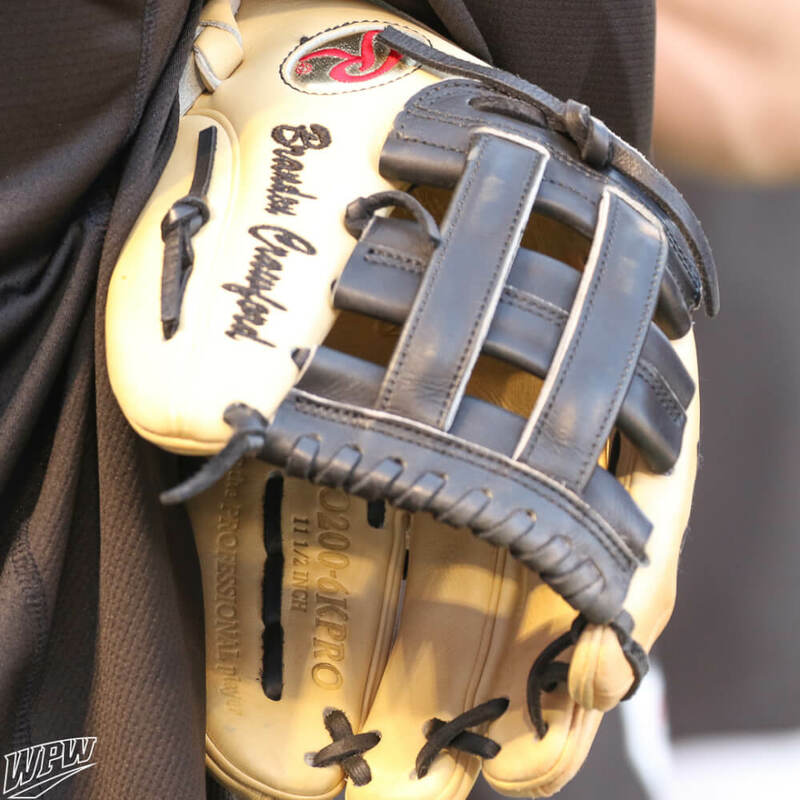 Harper gamed a fan-created glove early in the year. After a few games, somebody didn’t like it, and it has since been replaced by his 2017 gamer. 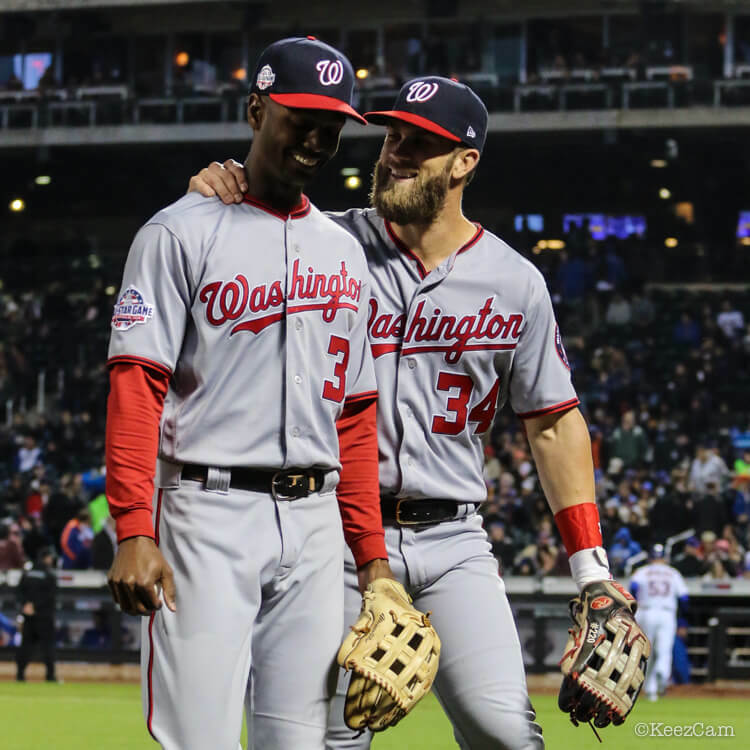 Harper’s less flashy black/grey/red PRO303 12.75 inch game glove is available here. 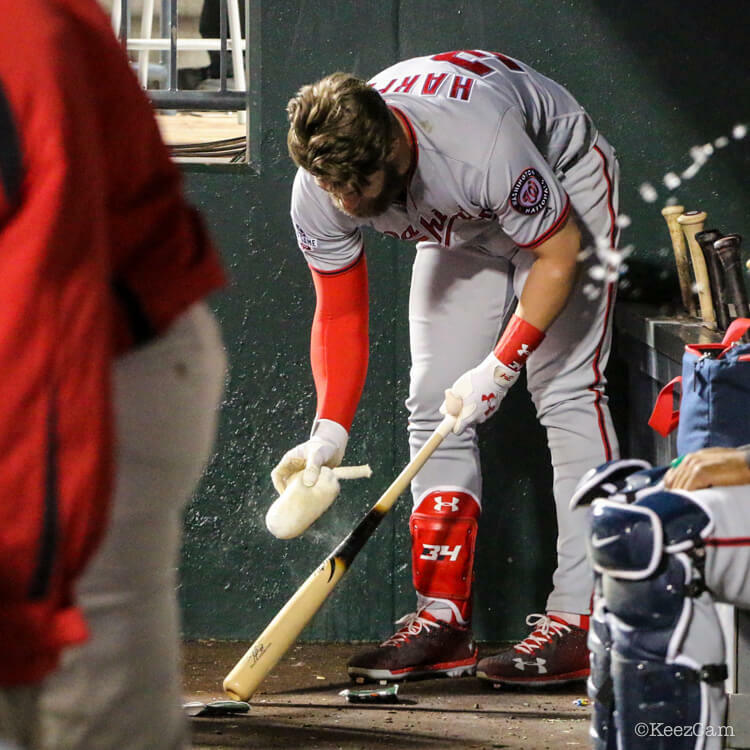 See Harper’s entire locker here. Who’s got the best swag in this group?